Abe Silverstein, 1908-2001, a giant in the field of aerospace engineering and development, was born in Terre Haute, Indiana. He received a Bachelor of Science in Mechanical Engineering, in 1929, and a Mechanical Engineering professional degree, in 1934, at Rose Polytechnic Institute, now the Rose-Hulman Institute of Technology. Silverstein began his professional career with the National Advisory Committee for Aeronautics (NACA), in 1929, at the Langley Memorial Aeronautical Laboratory, now the Langley Research Center, Hampton, Virginia. There, he helped design and, later, was placed in charge of the Full-Scale Wind Tunnel. In this facility he directed important research that led to increased high-speed performance for most of the U.S. combat aircraft of World War II. In 1943, he was transferred to the NACA Aircraft and Engine Research Laboratory (later named, NACA Lewis Flight Propulsion Laboratory) at Cleveland, Ohio. As chief of the Wind Tunnel and Flight Division, Silverstein directed research in propulsion aerodynamics in the Altitude Wind Tunnel. These investigations lead to significant improvements in both reciprocating and early turbojet aircraft engines. He also pioneered research on large-scale ramjet engines. Following World War II, Silverstein was responsible for the concept, design and construction of the nation’s first supersonic propulsion wind tunnels. The investigations in these facilities greatly contributed to the development of present–day supersonic aircraft. In 1949, he was placed in charge of all research at Lewis and, in 1952 was appointed Associate Director of the laboratory. Silverstein was called to NACA Headquarters in Washington D. C., in 1958, to plan the organization and programs for a new space agency, the National Aeronautics and Space Administration (NASA), to be built around NACA as its core. Subsequently, he was appointed Director of NASA’s Office of Space Flight Programs that included the development of both manned and unmanned spacecraft. He initiated the Tiros weather satellites and communication satellites. He directed the task forces that carried out the Mercury manned flights. This activity laid the groundwork for the Gemini and Apollo programs and the latter's success in landing men on the moon. Dr. Silverstein returned to Cleveland, in 1961, as Director of the NASA Lewis Research Center, responsible for development of advanced space power and propulsion systems. 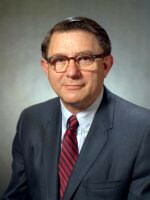 Under the latter program, he was the guiding force behind the creation of the Centaur launch vehicle. From its first successful launch in 1963 to the end of the century, Centaur was the workhouse of the American space program, propelling spacecraft to the moon and to the outer planets and both scientific and commercial satellites into earth orbit. Dr. Silverstein retired in 1969, with 40 years of government service. He went on to work for Republic Steel Corporation, in Cleveland, Ohio, from 1970-1977, where he helped develop pollution controls. Abe Silverstein received numerous awards and honors throughout his career. Among these were honorary doctorate degrees: from Rose Polytechnic Institute, in 1959; from Yeshiva University, in 1960; and from John Carroll University, in 1967. He was presented the Air Force Exceptional Civilian Award in 1960; the NASA Medal for Outstanding Leadership in 1961; the Sylvanus Albert Reed Award of the American Institute of Aeronautics and Astronautics (AIAA) in 1964; the Louis W. Hill Space Transportation Award of the AIAA in 1967, the Rockefeller Public Service Award, in 1968; and the Spirit of St. Louis Medal of the American Society of Mechanical Engineers, in 1974. Lastly, in 1997, he was awarded the prestigious Guggenheim Medal for significant contributions to the advancement of flight and joined the distinguished company of previous winners, such as Orville Wright, William Boeing and Charles Lindbergh. In addition to his professional career, Dr. Silverstein was active in community and civic affairs. He was instrumental in the founding of Beth Israel-The West Temple of Cleveland, in 1954. His concern for human rights lead to his involvement in the Cleveland Council on Soviet Anti-Semitism, serving as President, 1965-1969. Silverstein’s interest in guiding youth to constructive endeavors lead to his active participation with Boy Scouts of America in city, district and local levels. He served as a Trustee of Cleveland State University, Case Western Reserve University and the Cleveland Natural History Museum. Silverstein married Marion Crotser in 1950. They had three children: Joseph, Judith and David. Marion died in 1998. This biography was drawn from a document prepared by Dr. Louis Rosenblum for the Western Reserve Historical Society in 2006.